449 Aviation Cybersecurity - Airplane Geeks Podcast - The weekly audio podcast that explores and expands your passion for aviation. An aviation cybersecurity expert explains the topic, the NTSB reports about the failure to share weather-related information with pilots, United Airlines ties executive compensation to customer satisfaction, Airbus and SITA introduce a new cybersecurity service, and oxygen generation troubles for a military jet trainer. Dr. Remzi Seker is Professor of Computer Science and Ph.D. 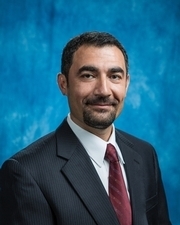 Program Coordinator, Electrical Engineering and Computer Science and Master’s Program Coordinator, Cybersecurity Engineering at the Embry-Riddle College of Engineering. He’s also Director of the Cybersecurity and Assured Systems Engineering (CyBASE) Center, and Program Coordinator, MS Cybersecurity Engineering. Remzi has expertise in cybersecurity and privacy in computer networks as well as integrated systems, embedded system security, cyber security in aviation and aerospace systems, cybersecurity in automobiles, and also digital forensics. We look at protecting old systems, developing new secure systems, evaluating the exposure to threats, and isolating the flight control systems from the IFE and internet connectivity systems. Remzi explains the importance of aviation and cybersecurity professionals sharing common terminology, and the role of social engineering in aviation cybersecurity. Remzi also explains the aviation cybersecurity programs at Embry-Riddle Aeronautical University. Information Security Guidance for Continuing Airworthiness (DO-355 / ED 204 in Europe) for airline operators. He served as a Department of Homeland Security Software Assurance (SwA) Forum Working Group Member, and a Subject Matter Expert for the Information Assurance Technology Analysis Center. Remzi also served on the reference computer science curriculum board formed by ACM and the IEEE Computer Society, was the lead person for Operating Systems Knowledge Area, and was a member of the subcommittee that designed the first Information Assurance (Cybersecurity) Knowledge Area. Remzi was Associate Editor for the Computers and Electrical Engineering Journal, program Co-Chair for IEEE’s 16th International Symposium on High Assurance Systems Engineering, and General Co-Chair, of the First International Workshop on Service Assurance in System Wide Information Management (SASWIM 2017). Remzi participated on the panel at Embry-Riddle’s Lift, Off the Page: A Panel Discussion on Aviation Cybersecurity. The NTSB has found that failure by ATC to share weather-related information with pilots is a weakness in the system. The NTSB recently released a Special Investigation Report: Improving Pilot Weather Report Submission and Dissemination to Benefit Safety in the National Airspace System. Airbus CyberSecurity and SITA have launched Security Operations Center Services to “provide airlines, airports and other air transport industry stakeholders with information about unusual cyber activity that may impact their businesses.” The Center Service is the first of a new portfolio of cybersecurity products and services being developed by SITA to help airlines and airports identify, detect, and react to aviation cybersecurity threats. The European Aviation Safety Agency (EASA) has signed a memorandum of cooperation with the European Union’s Computer Emergency Response Team (CERT-EU) to establish a European Centre for Cyber Security in Aviation (ECCSA). The T-45C Goshawk trainer has encountered failures with the On Board Oxygen Generator System (OBOGS), leading to an operational pause to determine the cause. Trevor’s memorable flight, and Hillel’s good news about the 2017 Innovations in Flight event. AvGeekFests.com calendar of aviation events. This entry was posted in Episodes and tagged Airbus, NTSB, security, SITA, T-45, United Airlines on April 26, 2017 by maxflight.